Check Back Soon For Fall 2019 Shade Tree Offerings! Shade trees offer many benefits, including energy savings, comfort and enhanced property values. According to the U.S. Department of Energy, shade trees can reduce energy used for summer cooling by 15 percent or more. Trees also help improve air and water quality. 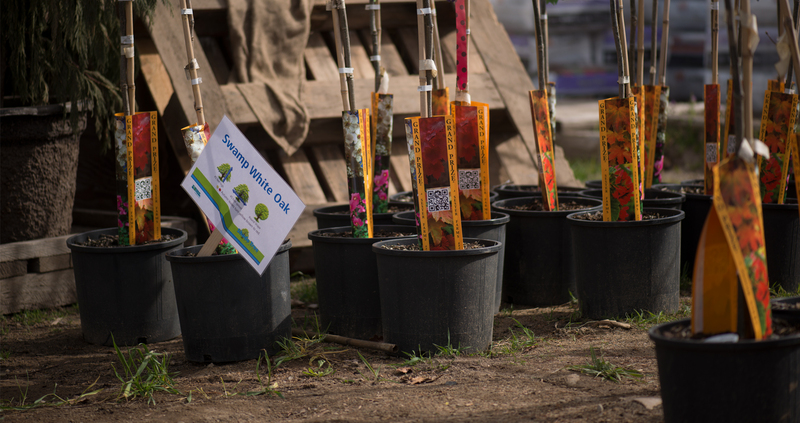 The Shade Tree Project is a demonstration project to encourage homeowners to plant shade trees for energy savings. A limited number of trees will be distributed to homeowners to help shade homes and reduce energy use. Several species are available on a first-come, first served basis. Idaho Power will evaluate the results and future energy impacts from this demonstration project. This project is for residential customers who wish to plant a shade tree at their home. It is open to a limited geographic area each spring and fall. Participants must have the legal right to plant trees on the property. Limit two trees per address for the life of the project. 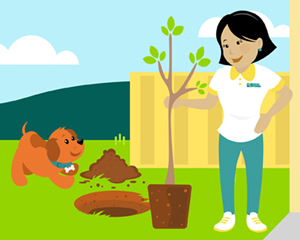 Although enrollment to reserve a tree is currently closed, sign up to get notified when enrollment begins for future events in your area, should they become available. This project is a joint-effort by Idaho Power, the City of Boise, Kuna, Meridian, Mountain Home, Nampa, College of Southern Idaho, Idaho Community Forestry, Idaho Nursery and Landscape Association, College of Western Idaho and others. View our Program Partners. Questions? Call 208-388-6075 or email shadetree@idahopower.com.